The ninth generation of the venerable full-size Chevy sedan, the 2012 Chevrolet Impala offers the classically American-car virtues of a big cabin, roomy trunk and sofa-soft ride. "Straightforward" might be the best term for the Impala. The controls are easy to use, and the sedan's reliability quotient is high. 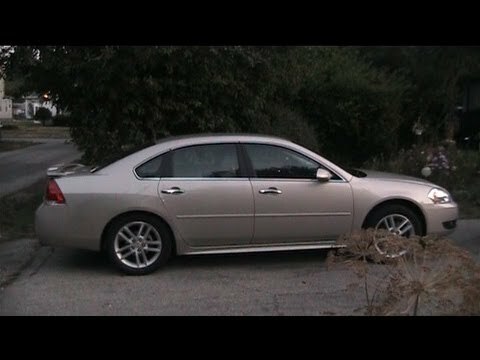 Chevy Impala is the ltz model. No real problems. Great performance and reliability. Plenty of room, especially since I am tall at 6' 3". The leather heated seats are very comfortable especially during winter months. Love the retractable roof during spring and fall sunny days. The individual heat and air controls for both sides of car are a great asset especially since my wife loves heat and I love to be cooler. The fact the back seat goes down to allow longer items to be carried in trunk is an asset. I have carried a couple eight foot 2 x 4's in the car. Solid reliable personal or family car. One of the most reliable cars my family has ever owned. For the size, great gas mileage at 25 city/35+ highway. Repairs are very affordable as long as you keep up with normal oil changes, tire/brake checks, and tune-ups. I am about 60k miles into it after purchasing with around 50k, and have had no major repairs or needed any extra maintenance, even as a rideshare driver. The only thing (very common with Chevy) was a fuse shorting out that makes a headlight burn out fast. Very spacious both interior and trunk. Rooms with plenty of leg space. It is full size so it is roomy but difficult to drive and park in the city. The air is either freezing or hot and humid and the actuator can break and cause a clicking sound that is difficult to fix. It has electric chair moves in the driver's seat and some lumbar support but sometimes it gets uncomfortable sitting in there. The drivers window will roll down automatically. The steering wheel is adjustable. Sometimes the prndl will slip into neutral without needing to push the button.